amanda mcclements & metrocurean: Win Repeal Day Ball Tickets! Win Repeal Day Ball Tickets! What: The DC Craft Bartender’s Guild toasts the 76th anniversary of the end of Prohibition with the Second Annual Repeal Day Ball. This black tie shin-dig will boast craft cocktails from DC's best mixologists, food from PS 7's chef Peter Smith, and dancing to the Red Hot Rhythm Chiefs. When: Saturday Dec. 5, 9 p.m. to midnight; VIPs get started at 8 p.m.
Who: Mixing up all sorts of fab cocktails will be DC’s top bartenders, including Gina Chersevani, Derek Brown and Todd Thrasher, along with special guests: bartending legend Dale DeGroff, Tad Carducci and toastmaster Jeffrey Morgenthaler. Cost: $100; $150 VIP admission. Tickets sold out last year so get 'em before they're gone! Buy tickets. A portion of the proceeds will go to benefit the Museum of the American Cocktail. Would LOVE to go. What a neat event. I can take my boyfriend for his birthday!! Thanks for posting this contest! p.s. love your blog, read it daily. Amanda, great contest! Thanks for getting me in the holiday spirit already! 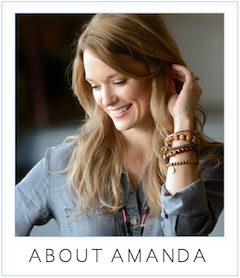 Great blog, Amanda. Thanks for all your work. Please put my name in the hat for the tickets. Would love to go. Today is my birthday and winning tix to this would be a great gift! Would love to win! May have to buy tickets if I don't. I'd love to win! Love your blog too! only foodie blog i read for dc...hope i win! My girlfriend came back from watching the Twilight movie yesterday and asked why I could not be more like Edward. I do not know what that means but I was hoping this would do the trick. Wow, I'd love the two tickets. It would solve the "what-to-get-the-person-who-has-everything" problem. Oooh, I would love to go to this event(I'm crossing my fingers)! I would love some tickets! Love your blog! Hope I win! Looking forward to it. Drink up and drink deep. This event sounds fantastic. Viva la repeal! This would be a great treat for my December, which will otherwise be filled with staffing my boss on the health care debate. Pick me! Sounds fantastic. I would love to win these tickets! 5) I know the difference between your/you're, they're/there/their, and other such homonyms. I'll never leave a grammatically incorrect comment on your blog! 4) I've never watched a single episode of "American Idol"! I'm not a follower, so I belong at an event that celebrates a once socially unacceptable substance...I'm not a follower! 3) I was one of the youngest people ever licensed as a bartender in NYC, age 18! So, alcohol and I go way back...we're BFFs practically! 2) I'm not opposed to wearing swag or even a sandwich board to advertise your blog, Amanda...Humiliation: It's a Good Thing! 1) I managed to write this whole post without using LOL or a :)! Oh wait...damn! So, in conclusion, please pick this witty, funny chica to attend something oh so DC where I can get lit..um, err, I mean, enjoy some lovely drinks? Thanks for holding this contest! My great-grandfather, a bootlegger, would have been so proud! Sweet, it doesn't even conflict with my AA meeting! please pick me!!! i've got a black tie in the closet just begging for an excuse to come out and play!!! would LOVE to go to this. Pick me! Pick me! I have a cocktail dress that I bought for inauguration and never wore that's just dying to attend. Great contest! I want to win. What a great excuse to skip the company holiday party! Cool contest! I hope I win! Ooooh, I hope I win! Yes! Please, and thank you! I want to go so I can meet someone who can make a sloe gin fizz without having to Google it first! me me me me me me me me me! this is the day after my fiance and i get back from visiting my parents in chicago. we're taking the train, which is a roughly 17 hour trip. after five days with my parents, i'll owe her a drink, or two, or two hundred. this event coincides our two year anniversary, so i think there might be enough alcohol available to make it up to her for being a trooper. also, maybe i'll be able to find someone there who can teach me how to pronounce sazerac correctly, so i can really knock her socks off. Yes, please. Thanks for your consideration. sounds like the social event of the year! hope I win! Please do enter me in the pot! I'm a loyal, if silent, reader. Channeling Arnold Horshack from "Welcome Back, Kotter" Ooh-ooh-ooooh! Sounds cool. Hope I win! Wow, that sounds like so much fun and the perfect thing to do with a girlfriend since my hubby will be out of town that weekend! Sounds fantastic, viva repeal day. One of America's underappreciated holidays! Just think where we'd be without it... viva repeal day!!! I would love to go, to continue to spread the good news about the end of prohibition! thank goodness for repeal day and PS7! mmmmmmmmmmmmmm. Cocktails, the perfect remedy for the Thanksgiving family hangover. Me, me, me, pick me! I need to imbibe following the deplorable showing of the Terps tonight. Please let me win SOMETHING! Oh yeah, I need those tickets! Sounds great! I better win. Seriously. Alcohol GOOD. Prohibition BAD. For real, winning these tickets would be pretty awesome. I can't afford to go (thx economy/job market) so this would be like an early xmas present. How have I never heard of this OR the Museum of the American Cocktail? Seriously. very good !! sounds fab..thanks for getting the word out. Will I see the same people I see at Savor? Please please pick me! I really want to go, but my budget says no, no no. Sounds like fun. I hope you pick me! I really hope I can win the tickets! Every day is repeal day! PLEASE PLEASE PICK ME! PS7 IS MY VERY FAVORITE BAR AND I WOULD LOVE TO DANCE ON PROHIBITION'S GRAVE WITH A CROWD OF LIKE MINDED REVELERS! PICK MEEEEEEE! Last year was so fun...but this year is so expensive! Pick me please!!!! I remember hearing stories from last year, hope I win! I wish I had made it last year so I could have had a Frnech 75. But the 76th anniversary of the repeal is good enough for me! I'll throw my name in ... great blog, btw. Thank you for holding this contest! Great looking whoopie pies too. Ooh, pick me, pick me!